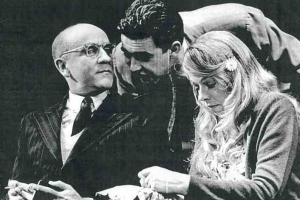 Dutch Uncle was first performed on 17th March 1969 at the Aldwych Theatre, London, produced by The Royal Shakespeare Company. 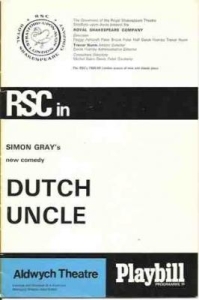 Dutch Uncle was published as a Faber Contemporary Classic in Simon Gray: Plays 1 on July 7th 2010. 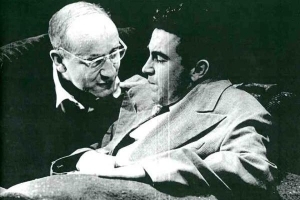 To order a copy at special offer 25% discount please contact Faber and use code GRAYPLAYS. Or check out the plays section of our bookshop.